Extract Subtitles from DVD? Is It Possible? Q: Hi guys. I convert my DVD to DivX and I know that before ripping I can select to rip with which subtitle. But I want to have DivX (*.avi) file and a subtitle (*.srt) file separately. Is it possible to extract subtitle from a DVD and save it in a SRT file? How? We have introduced how to extract subtitles from MKV before, but many people also want to know how to rip subtitles from DVD. Is that possible? The answer is yes. But before that, we need to know some basic knowledge on extracting subtitles. Different from the text-based subtitle file in MKV, subtitles on DVDs aren't text but actually encoded as raster graphics. The subtitles you see on a DVD are streams of images files which appear one after the other. Therefore, exporting subtitle from DVD is a process of extracting graphic subtitle with a method called Optical Character Recognition, or OCR to identify and export the graphic subtitle as text-based subtitle file. 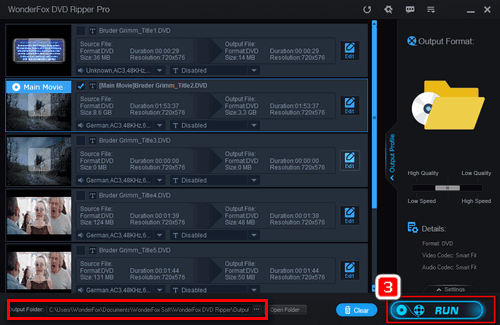 While it sounds complex, with some DVD subtitle extractors, you can easily complete the process. Now let's get started. Note: WonderFox doesn’t encourage users to convert DVD for commercial purpose and other illegal intentions. And please check whether it’s legal to rip a DVD for backup in your country. A useful software providing the easiest solution to convert DVD to VIDEO_TS folder so you’re able to extract the subtitle from a DVD easily. It also supports flawlessly 1:1 DVD to ISO quick copy, DVD to 300+ digital formats conversion, etc. As DVD subtitle rippers can only recognize .vob or .ifo files, first you need to convert DVD to a VIDEO_TS file that contains all DVD information including. vob files, .ifo files and .bup files. Therefore, a good DVD Ripper is a must-have. Here I highly recommend WonderFox DVD Ripper Pro. 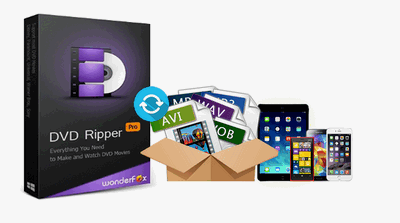 It’s a professional and reliable DVD ripper that allows you to copy DVD to VIDEO_TS , copy DVD to ISO and copy DVD to digital formats like MP4, AVI, MOV, 3GP, FLV, etc. You can also use it to add subtitles to DVD. Follow the steps below to convert DVD to VIDEO_TS. To extract subtitles from DVD, you need to insert DVD disc into DVD ROM drive. Then launch this program and click on “DVD Disc” to select the DVD source. It also supports ISO Image and DVD Folder input. Soon the DVD contents will be analyzed completely and the main movie file will be precisely selected. If you want to copy disc to digital, you just need to select an output format like MP4, but to rip subtitles from DVD, you need to convert DVD to VIDEO_TS folder firstly. So click “Output Format” button on the right. Then hit the purple “1:1 quick copy” button and select “DVD Folder”. 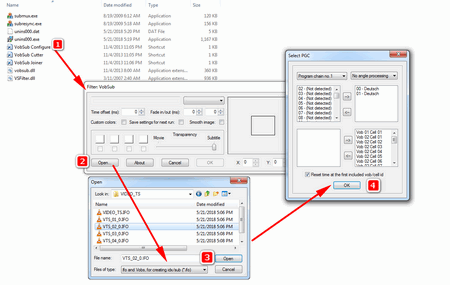 Now click the “…” icon next to “Open Folder” to specify an output folder. Click “Run” button on the lower right corner to start the conversion. Part 2. How to Extract Subtitles from DVD with DVD Subtitles Extractor? 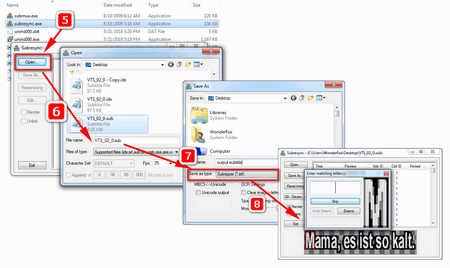 After converting DVD to VIDEO_TS folder, you can find the VIDEO_TS folder in the specified output folder. Now you need to download a DVD subtitle extractor to complete the rest of the process. A plenty of programs can do this job, such as SubRip, Subtitle Edit, VobSub, etc. Here I will take VobSub as an example to rip subtitles from DVD movies. Extract subtitles from VOB and IFO. Step 2. Find the install directory. Launch VobSub Configure file under the install directory to extract subtitles from DVD. Step 3. Click “Open” button. Locate the VIDEO_TS file you just converted. Select “ifo and vobs, for creating idx/sub (*.ifo)” on Files of type profile. Select IFO files. Next specify output folder and click “OK” button. Step 4. Now, you’re able to see a “Select PGC” window. Generally, leave the default settings and click “OK”. After that, you just need to wait for exporting .idx and .sub files. Note: Usually, we only need to select the IFO file of the main movie for extracting. Step 5. After the process is finished, launch “subresync.exe” under the install directory. Step 6. Click “Open” and select the .sub files you exported just now. Note that the FPS parameters are for different type of DVDs - 25fps for PAL DVD，23.976fps for most DVD movies and 29.97fps for recorded NTSC DVD video. You need to choose the right option to avoid the sync problems. Then click “Open” button. Step 7. Hit “Save As” button and then custom the name of subtitle, and choose "Subripper (*.srt)" as output format. Next click “Save” to start the ORC process. Step 8. The uncertain characters will pop up, and you need to manually input the characters in the pictures to help VobSub identify them, which may take a while but will not only make the process go faster, but also improve the results. After the OCR process finished, you’re able to find the SRT subtitles in the output directory. Now you can use the subtitles of the DVD as ease. I hope you get the idea of how to extract subtitles from DVD now. If you still have any questions, please free feel to contact us. 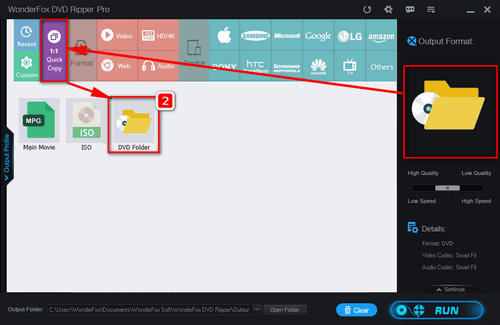 This smart software can help you not only rip subtitles from DVD, but also extract audio from DVD, copy DVD movies to PC for backup purpose, create ISO files, etc.